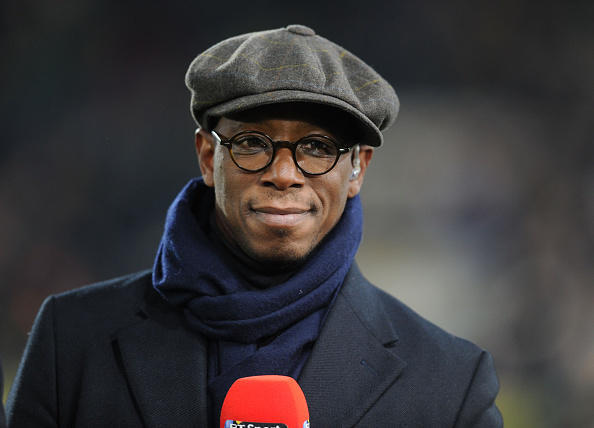 Former Arsenal and Celtic striker Ian Wright has described Rangers as ‘magnificent and massive’ and believes it’s a great move for Steven Gerrard to make. Speaking on Sky yesterday, Wright was discussing the move and its drawbacks and merits, but had only gushing praise to make about Rangers and our fans. The media hype over Gerrard to Govan really has reached fever pitch and this is every inch the modern equivalent of Souness and the English crew to Ibrox back in the late 80s. If it happens, of course. Yet one of our so called own Boyd the Void in the dr saying signing Gerrard as manager is as much use as signing José Mourinho as a player. Boyd U are nothing more than a prick!! 2) his 2nd spell yes he was poor but so was the whole team yet we used him almost as a skate goat saying he was pasted it, which he has proven wrong at Kilmarnock. We owe Boyd nothing. He made millions from our club and played for his money. Score draw. He wouldn’t be spouting the shite he is about Gerrard being a rookie if it were his pal wee Barry the fud taking over. He’d be all over it like a tramp eating chips hoping for a role as a coach. As far as I’m concerned he can join his pal Luggy, Barry, Kenny & Waldo. Trecherous cunts. Yeah a massive disaster. No experience whatsoever. Gary Lineker says it will be a "lovely" job for Gerrard. They just have no idea how 'lovely' it's not going to be. He'll be done as quickly as Pedro and then the board will line up Billy Kirkwood to be thrown under the bus. I agree Stumbler, another farce that will hand the beggars their next treble again! Gerrard will bring the same namby pamby, tippity tappity football as the rest of them, useless in our crappy scottish game!! FFS, another gut wrenching season ahead, and this one isn't even finished yet!! He is the only guy with Tim ties that has said anything positive. Strachan, Sutton, Hartson, Rogers et all (I included Byod in this list) can all go F*ck themselves. They are absolutely gutted that Gerrard is even considering this move. I hope he takes it, Shearer, Wright, Murphy, Lampard are all saying this is a great move for both parties, lets get it done and let the scum cry into their tatties when Gerrard confirms. As i pointed out to timmy via another post, it's all about the RANGERS nobody cares about 7 outside celtic park or daily record, not a mention unless to highlight our need for change. says it all really.